Karen Hasan in 'Cellar Door'. 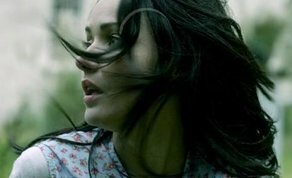 IFTN caught up with Irish actress Karen Hassan to find out more about the filming process, taking on such a challenging role and working with director Viko Nikci on the chilling and thought-provoking mystery thriller. Born in Northern Ireland, Hassan’s most recent credits include Amy Huberman’s RTÉ comedy series ‘Finding Joy’ and BBC Two’s flagship TV movie ‘Doing Money’ where she appeared as ‘DC Rachel Miskelly' alongside Irish actor Allan Leech. Karen has also collaborated with The Comedy Unit and the BBC playing boss 'Lisa McCoy' in their newest comedy series 'Soft Boarder Patrol', exposing the hilarious consequences of the boarder change between the UK and the EU post Brexit. Other credits include BBC’s 'The Fall', History’s 'Vikings', Channel 4’s 'Suspects', Lionsgate’s 'The Royals' and Channel 4’s 'Hollyoaks'. IFTN journalist Nathan Griffin caught up with Hassan earlier this week. How did you first get involved in the project and what were your initial thoughts reading the script? The film follows quite a dark and complex narrative. How did you go about approaching this and what level of preparation did you undertake for the role itself. Can you give me a bit of insight into working with Viko and how that dynamic worked on set? You are almost in every scene throughout the film, how intense was that for you and was that something you were very conscious of going into this project?